Best Advice I Ever Received: Name of the game, is to stay in the game, until you win the game. How his childhood and parents influenced the entrepreneur he has become. Selecting evergreen markets versus fad markets. How Ryan discovered the ASK Method and has since taught it to the world. The catalyst point in his life that saved his life and changed how he decided to do business. Name of the game, is to stay in the game, until you win the game. Google Trends can help you identify if your industry is trending up, trending down, is cyclical, or just a fad. Over $450M per day is spent on information online. Look at your ratio of what you invest in salary to your revenue, not just a price per employee. 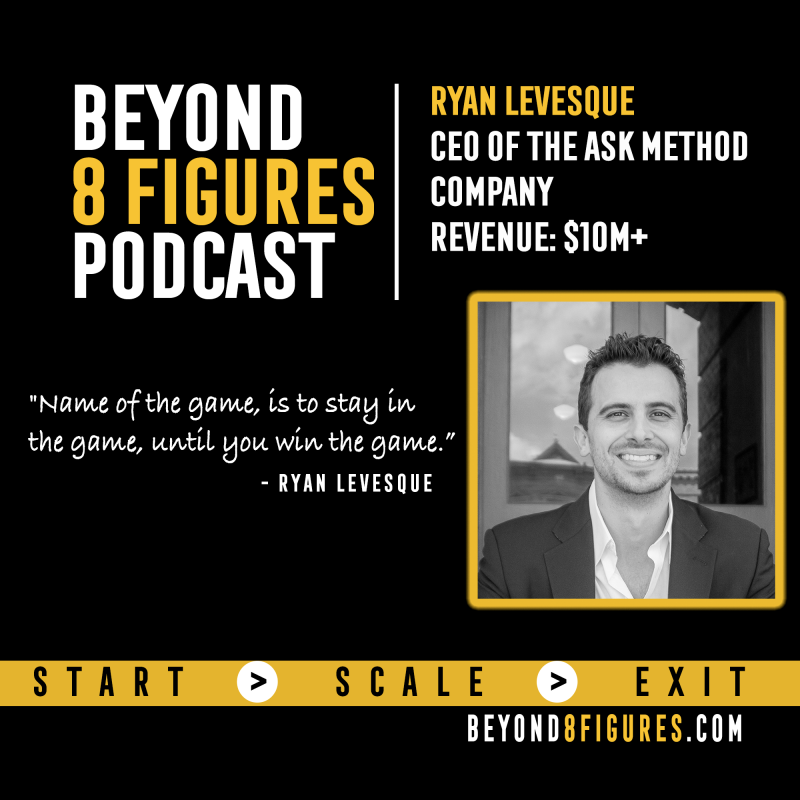 Ryan Levesque is the Inc. 500 CEO of The ASK Method ® Company, and the #1 national best-selling author of Ask, which was named by Inc. as the #1 Marketing Book of the Year. His work has been featured in the Wall Street Journal, USA Today, Forbes, and Entrepreneur and over 250,000 entrepreneurs subscribe to his email newsletter offering business advice. He is also a co-founder and investor in bucket.io®, a leading marketing funnel software for entrepreneurs. His latest book Choose, helps readers avoid making the single biggest mistake when starting a business and guides people through answering the all important question: What type of business should you start?